The opening of the summer transfer window is fast approaching so we’ll bring you all the latest transfer rumours and gossip from around the globe. 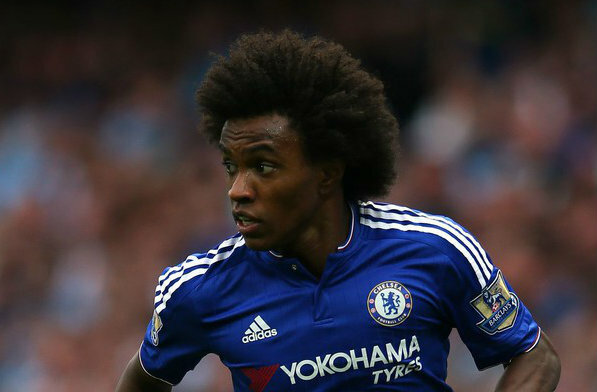 Today, Jose Mourinho is eyeing Willian…. Jose Mourinho is plotting an audacious raid on former club Chelsea to try and lure Willian to Manchester United in a reported £60m deal this summer, according to the Sun. Mourinho has been widely expected to take over at Old Trafford following Louis van Gaal’s dismissal earlier this week and Sky Sports News claim that he finally signed his contract at a London hotel on Thursday evening. There has been no official confirmation from United [at the time of writing] but it looks nothing more than a formality that Mourinho will be unveiled as the new boss at Old Trafford over the coming hours. It looks as though the so-called ‘Special One’ is already planning his moves in the transfer market as the Sun claim that Mourinho is ready to launch a £60m move to try and lure Willian away from Chelsea this summer. Obviously Mourinho knows Willian well as he took the 27-year-old to Stamford Bridge in a £30m deal from Anzhi Makhachkala back in 2013 and it looks as though he now wants to be reunited with the Brazilian international at Old Trafford. Willian was a rare positive for the West Londoners during a disastrous campaign this season with the South American midfielder voted as Chelsea’s fans’ Player of the Year and players’ Player of the Year. I’m sure Chelsea would be extremely reluctant to sell one of their key men to United and the fans would be raging if they agreed a deal, but the Sun suggests that Willian would be keen to link up with Mourinho again at United. “Jose is one of the most successful coaches in the world and Manchester United will be stronger with him as manager. I’m sure Willian won’t be the only Chelsea player to be linked with a move to United now that Mourinho is seemingly in charge but it’s difficult to see the Blues welcoming any interest from the Portuguese coach. After such a difficult campaign, the last thing new boss Antonio Conte wants is to aggravate the fan-base even further by agreeing to sell the likes of Willian to a direct rival like United. So while we’ll probably have to get used to speculation linking Chelsea players with United over the summer months, I personally don’t think there is any chance we’ll see any player leaving West London and heading up the M6 to Manchester.